New Out of print Rare smoke free workplace of professional seamstress. All work is Guaranteed! 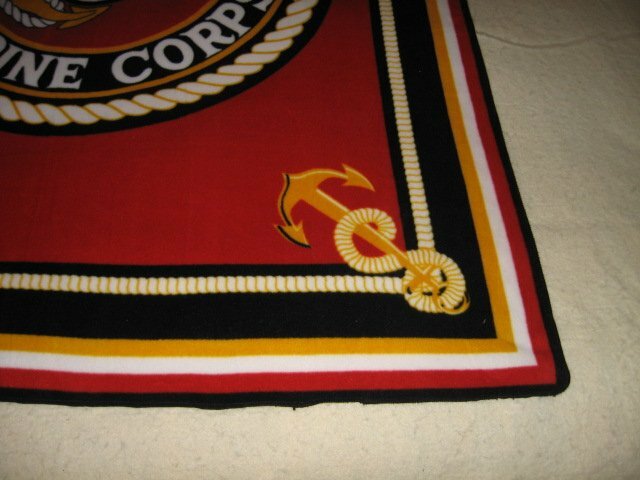 United States Marines Fleece Blanket, or Throw Anchor in each corner. Single thickness. Same picture on both sides, but the words are mirror image on the backside. Great size for a child or adult to cuddle in. 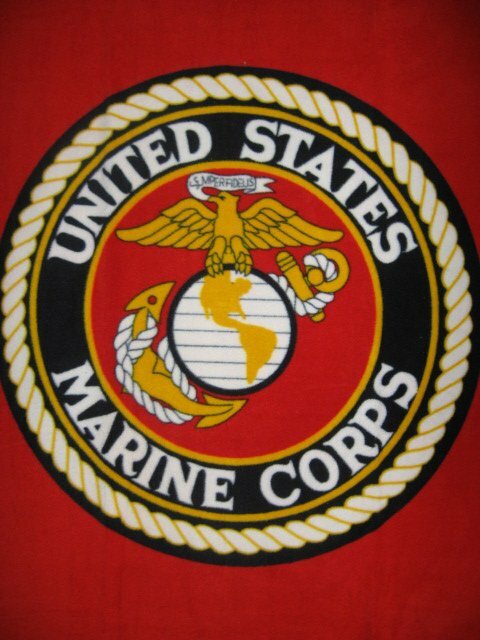 Great Gift For your favorite Service man or woman! The edges are clean finished with pretty stitching. 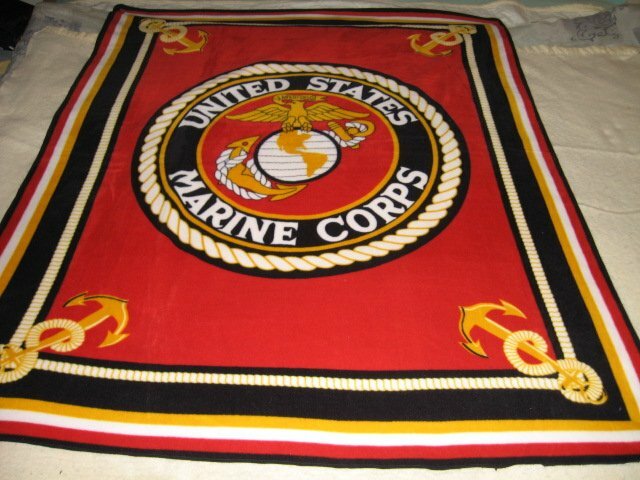 Measures approximately 48"X60".